“For immigrants - undocumented, new arrivals and even foreign-born citizens – access to banking is the first step to making sense of financial systems in the US.” according to Jumelia Abrahamson, Director of UNHP’s Northwest Bronx Resource Center. Jumelia shared our experiences working with immigrants in the Bronx to build financial stability at ANHD’s 5/18/18 Community Development Conference. UNHP’s Jumelia Abrahamson was invited to participate as a panelist at the ANHD 8th Annual Community Development Conference. Jumelia shared her experiences working with immigrant families to build financial stability at the UNHP Northwest Bronx Resource Center as a member of the Access to Financial Services for Immigrant Populations discussion. 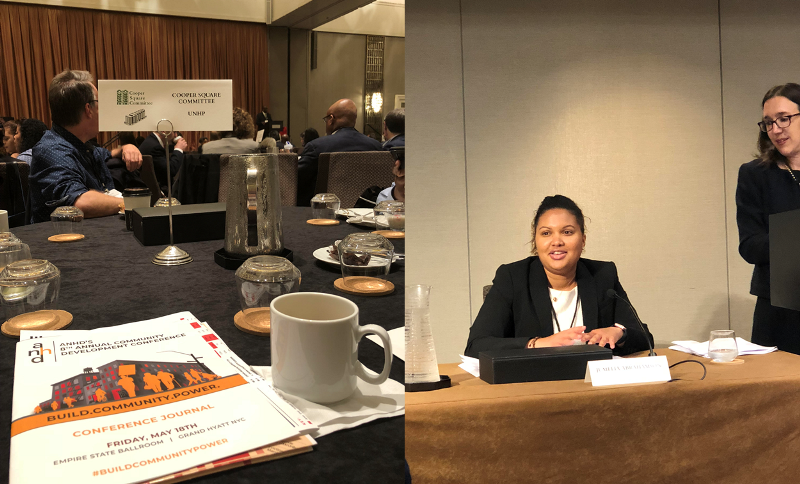 Jumelia Abrahamson, Director of the Northwest Bronx Resource Center (NWBRC) participated as a panelist in ANHD’s 8th Annual Community Development Conference about Access to Financial Services for Immigrant Populations. The panel, moderated by Nahida Uddin (National CAPACD) and Jaime Weisberg from ANHD, included Nicole Perry (Department of Consumer Affairs’ Office of Financial Empowerment), Melanie Stern (Spring Bank) and Councilman Carlos Menchaca, Chair of the Immigration Committee in the NYC Council. 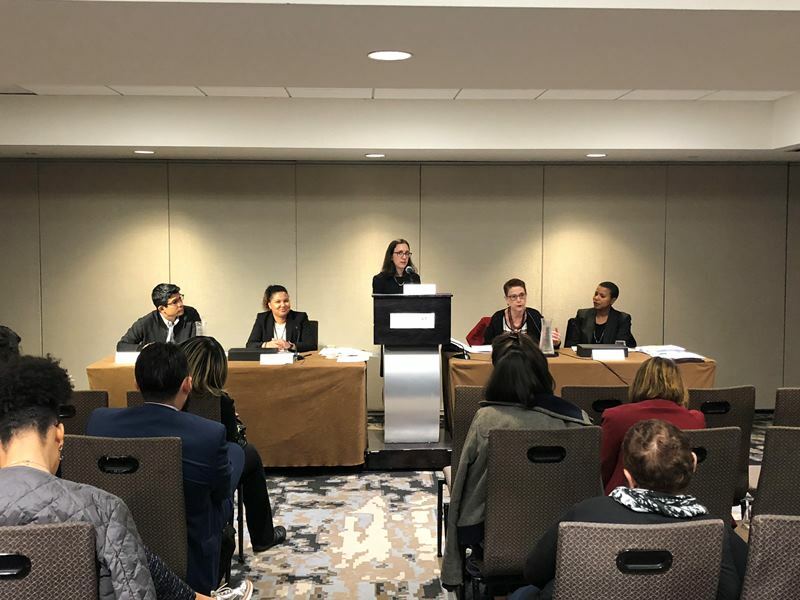 Panelists shared the successful practices of community development banks, and community-based financial services programs to build trust and serve an immigrant client base. While community-based programs and nonprofit financial services providers can work to become a trusted financial resource for immigrants, access and availability to traditional bank branches, banking services, and credit unions remain essential – especially in the Bronx. The Access to Financial Services panel was one of three discussions about banking and financial services at the ANHD Community Development conference including a discussion of the Community Reinvestment Act (CRA) and a Keynote speech from Lael Brainard, Governor of the Federal Reserve. Jumelia shared our experiences working with Bronx residents to build their financial stability by working with residents during tax time, delivering topic specific financial workshops, and offering 1:1 financial advisement and Getting Ahead workshops in our community in partnership with Neighborhood Trust Financial Partners. 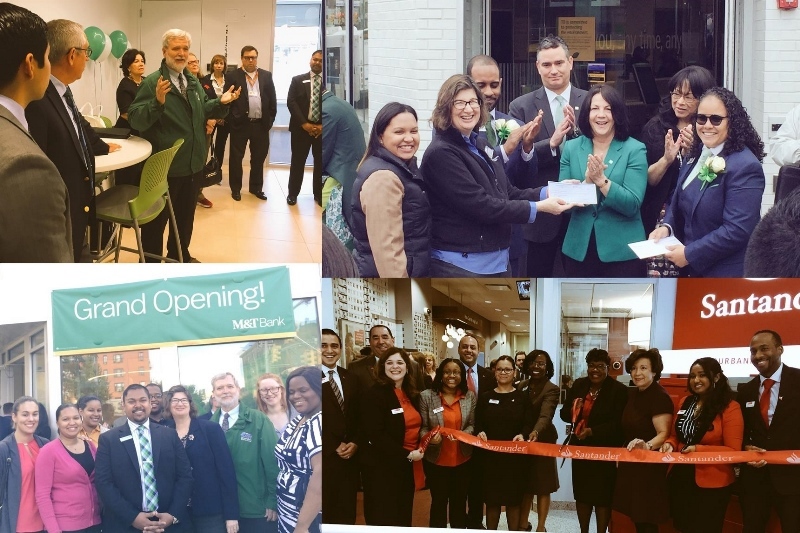 The recent opening of Bronx branches by M&T, Santander and TD Bank are encouraging signs that banks are recognizing the potential benefits of increasing their branch presence in the neighborhoods of the Bronx. Partnerships between local banks and community-based organizations can also help build trust and encourage participation by low-income and immigrant residents. UNHP partnered with the local branch managers at Apple Bank, TD Bank. Citi, Ridgewood Savings, Capital One, Amalgamated and M&T Banks to share our free financial and housing resources with bank customers. Many local branches in our community have diverse and multi-lingual bank staff and management, and affordable products. UNHP’s Banking Guide outlines some of the most affordable products in our community. The UNHP Northwest Bronx Resource Center primarily serves residents in Community Boards 5, 6 and 7 where 70% of the population is Hispanic and close to 40% of the population earns less than $25,000. The average income for residents who used our 2017 Free Tax Prep Program is $18,147. Immigrant families are vulnerable and are often just one financial emergency away from crisis. They rely on their local networks, which speak their language and understand their struggle to get a job, cash a paycheck, send money to family members, establish credit and buy a home in the US. Some of these local networks such as the check casher, neighborhood realtor, notary public and immigration advisor may not actually be the safest or most affordable choice. Jumelia has striven to make the NWBRC one of those trusted networks for immigrant northwest Bronx residents. UNHP meets our neighbors where they are at – building trust over time through bilingual services, staff and leadership and consistent availability via phone, regular office hours and outreach events at churches and other trusted institutions. UNHP celebrates when an immigrant tax client is able to use their filed returns to support a citizenship application or opens a bank account and discontinues cashing their check at the cash checker, but other small steps are important too. Jumelia cited examples of our work to layer financial services and immigrant-specific assistance. Working with Ariva as an IRS VITA free tax preparation site, UNHP assists many immigrants, people with ITIN’s and self-employed file their tax returns. On-site services are layered during tax time and include credit reports, brief financial counseling, SNAP screening and appointments for 1:1 financial advisement. Many tax filers return year after year giving UNHP an opportunity to build trust and engagement over time. Engaging a local Latina entrepreneur as a consultant, UNHP has been able to achieve consist enrollment in the Spanish language 10-hour Getting Ahead workshops and deeper reach into the immigrant community. 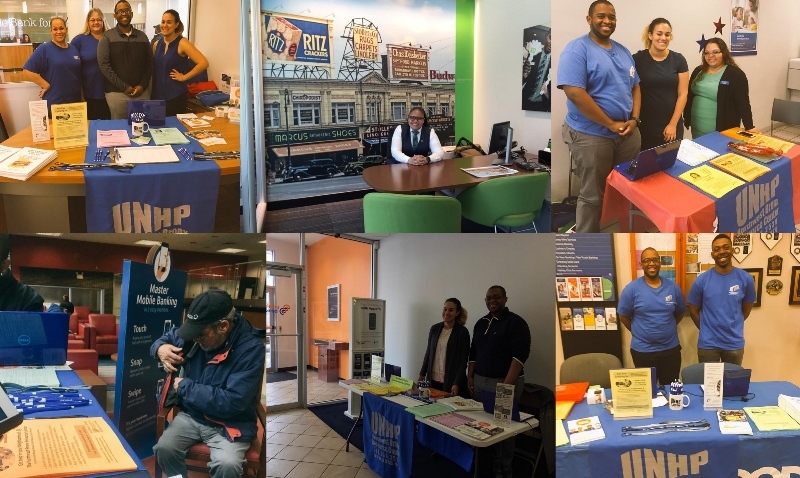 Through outreach events and resource fairs, UNHP provides broad access to housing and financial services for all Bronx residents, and always includes information and services for immigrants, such as idNYC, ITIN and Immigration services. Jumelia emphasized that this type of community building requires small steps to build a relationship. Jaime Weisberg from ANHD introduces moderator Nahida Uddin (National CAPACD)and panelists Nicole Perry (Department of Consumer Affairs’ Office of Financial Empowerment), Melanie Stern (Spring Bank) and Councilman Carlos Menchaca, Chair of the Immigration Committee in the NYC Council. The other panelist also shared their best practices to build trust and increase financial access to immigrants. DCA Office of Financial Empowerment partners with local groups; the Ariva DCA Ventanilla Program offers in-house financial services at the Mexican Consulate. Spring Bank, a community development bank, works to create a comfortable environment, offers small-dollar loan products without a credit check, employee loans and credit building loans. Spring Bank partnered with UNHP to create a small loan fund available to home-based daycare providers who participated in a business development course. NYC Councilman Carlos Menchaca shared his own experience as being from an immigrant family and being intimidated by financial services and his promotion of the idNYC program. While community-based programs and nonprofit financial services providers can work to become a trusted financial resource for immigrants, access and availability to traditional banking services and credit unions are also essential. In the Bronx, one of the long-term impacts of redlining has been that the borough has the lowest concentration of bank branches per household of any county in the United States. New America’s Financial Opportunity Map, published in September 2017, shows the high rate of Alternative Financial Services (AFS) in the Bronx compared to traditional banks and credit unions. AFS – check cashing, rent-to-own stores, pop-up tax prep sites and pawn shops - are about equal in number to banks branches in the Bronx. According to the study “Where are the Unbanked and Under-banked in New York City” published in 2015, 21.8% of Bronx households were unbanked in 2013, and 30.5% of Bronx households are under-banked as defined by having a banking account and using AFS as well. UNHP’s blog, More Alternatives to Alternative Financial Services are Needed in the Bronx shares maps and data about the use of AFS and the lack of bank branches in the Bronx. Click here to see the interactive map. The area in orange is the Bronx and the color indicates a very high ratio of bank branches to alternative financial services such as check cashers and pawn shops. UNHP welcomes more low-cost, accessible financial services in the Bronx from both traditional and non-traditional sources that can serve the many unbanked and under-banked Bronx residents including low-income and immigrant households.